2010 Loire - James W. Lett, Ph.D. 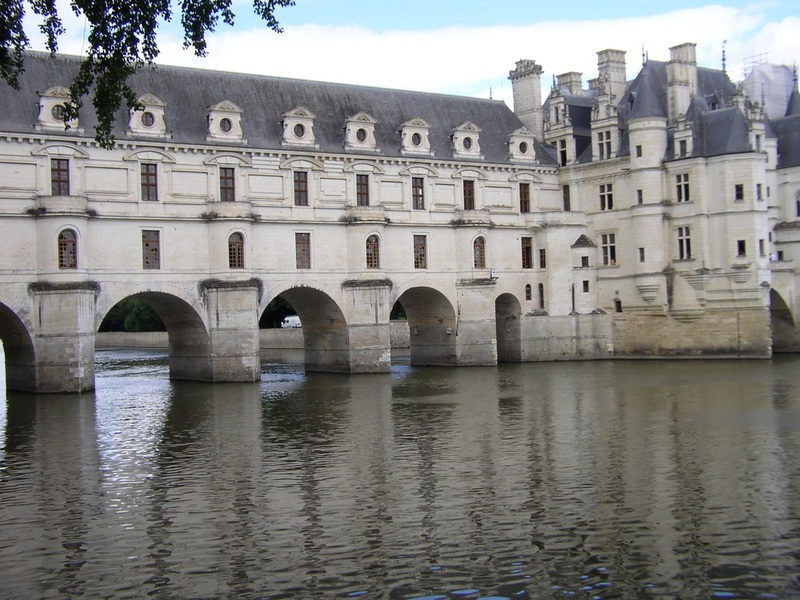 These photographs and notes are from our two-week trip to the Loire Valley in July. We spent the first week taking a refresher course at our French language school in Sancerre, and then rented a farmhouse near Tours for the second week. Aubigny is a small picturesque town northwest of Sancerre. This photo captures for me some of the particular charm of France. 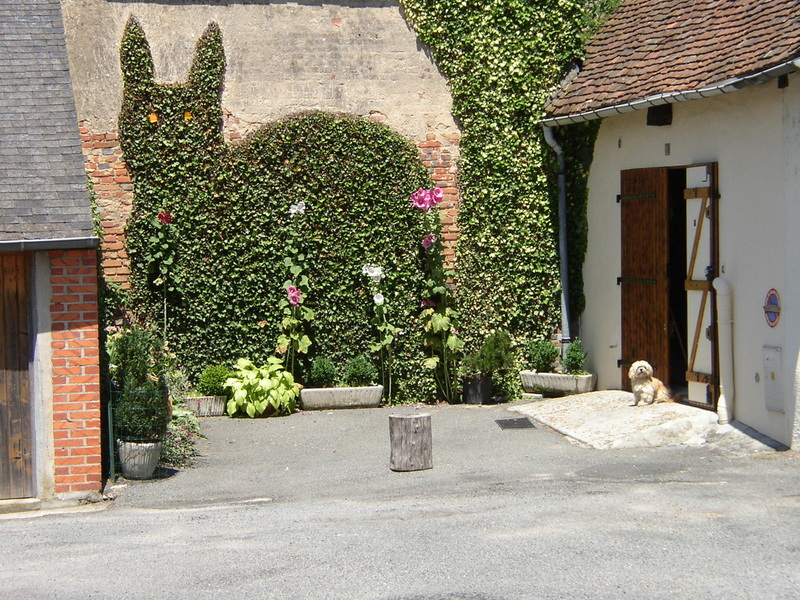 The French love their gardens and their dogs, and they lavish elaborate care on both, as the owners of this townhouse demonstrate. This photograph was taken in a public park in Aubigny. 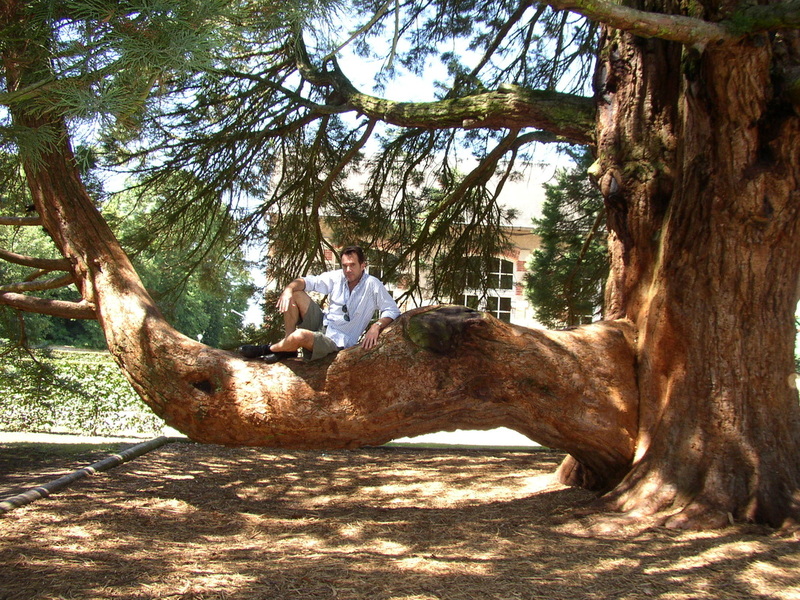 At the time the picture was made, I was living in in south Florida, where the trees tend to be stunted--so I had (and still have) a special appreciation and fondness for Europe's massive trees. 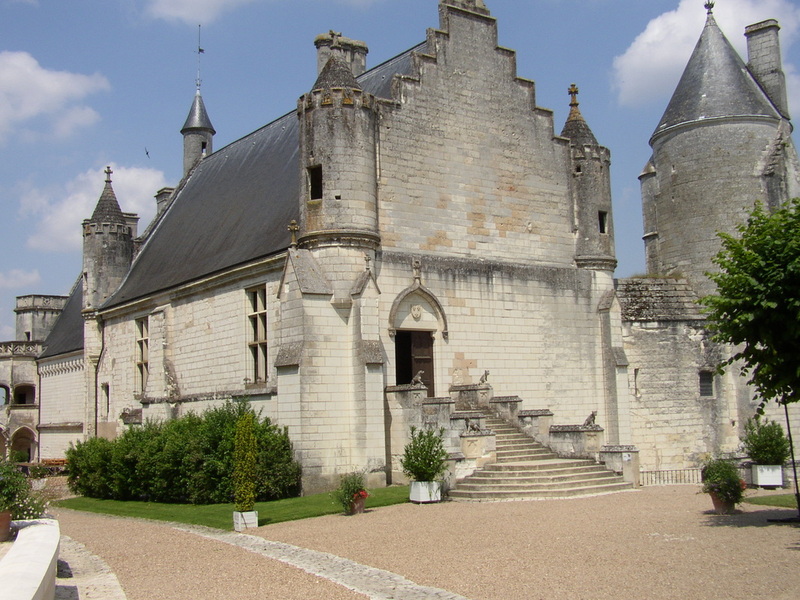 This elegant Renaissance château was built in the early 16th century by Gilles Berthelot, the mayor of Tours and treasurer to King Francois I. Berthelot never lived there, however--he was accused of embezzlement, and Francois I confiscated the château before it was finished. The building's most distinctive feature is its multi-storey entrance façade with straight staircases that lead to open-air loggias on each floor (the unknown architect was apparently influenced by Italian design principles). 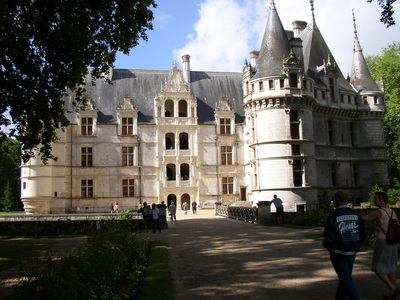 Compared to many of the châteaux in the Loire, Azay-le-Rideau is relatively small and intimate. 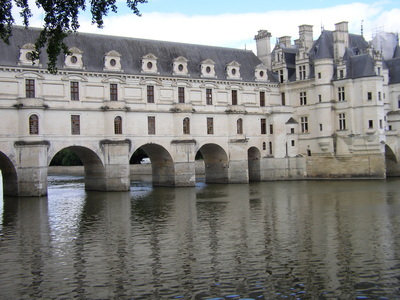 Sixty meters long, the Château de Chenonceau stretches entirely across the River Cher. Over the centuries, the building was gradually transformed from a modest manor and water mill into a romantic pleasure palace. The interior is equally impressive, with historic furnishings, tapestries, and paintings. I was especially intrigued by the kitchen complex, which was a multi-leveled labyrinth of stone floors and vaulted ceilings. 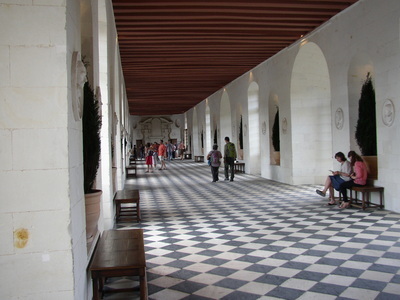 The Grande Galerie at Chenonceau allows you to walk across the river in grand style. 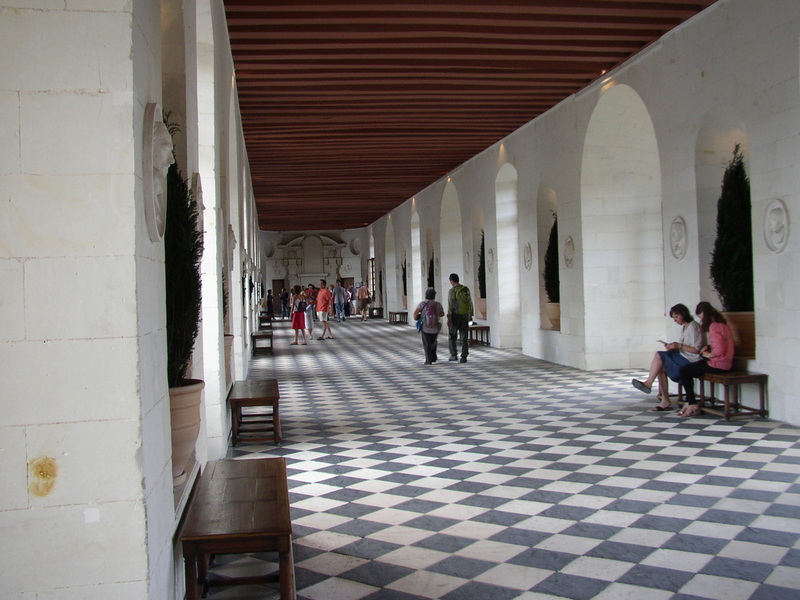 When you step out of the building on the far side of the river, you enter into a wooded park, which offers a cool retreat from the crowds in the château itself. 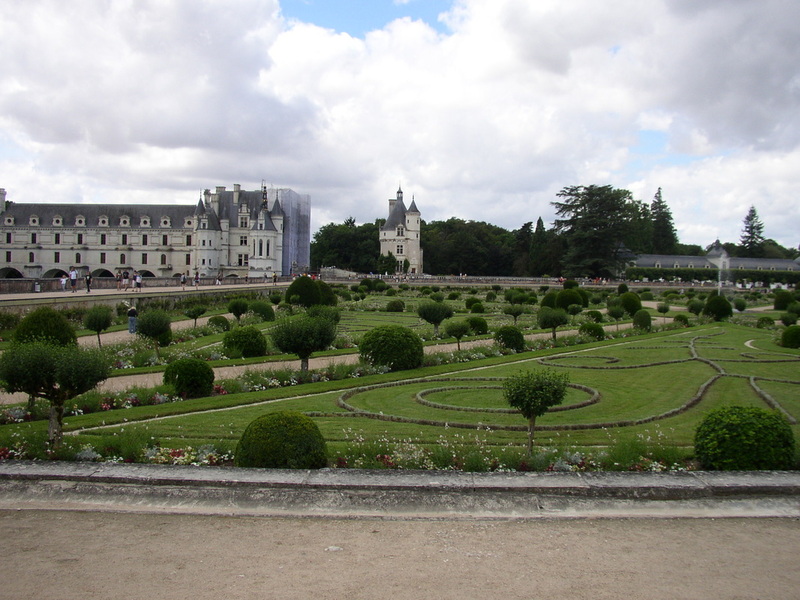 The formal gardens at Chenonceau lie on the opposite side of the river from the woods--their present design dates from the late 19th century. 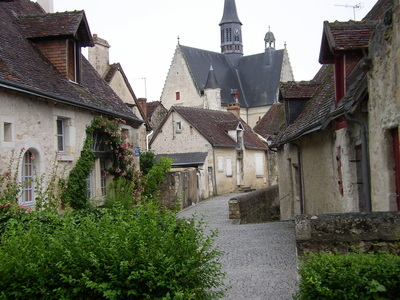 The small city of Loches lies beside the River Indre on the edge of the Forêt de Loches. Fought over by the French and English for many years, it eventually became a French royal residence. The 15th century Logis Royal (Royal Lodge) above was the location where Jeanne d'Arc, fresh from her triumph at the Battle of Orléans, persuaded the dauphin to travel to Rheims and be crowned king of France as Charles VII. In today's world, fortunately, delusional teenage girls have somewhat less political influence, but it all worked out well for the French in the end. The Château de Montrésor was built in the 15th and 16th centuries on the site of a medieval fortification; it was purchased in the 19th century by an émigré Polish count whose descendants still own the château. The count was an avid hunter, and the decor is filled with dead stuffed animals. The village of Montrésor includes a small Gothic and Renaissance church notable for the finely crafted marble effigies on the tomb of its builder. 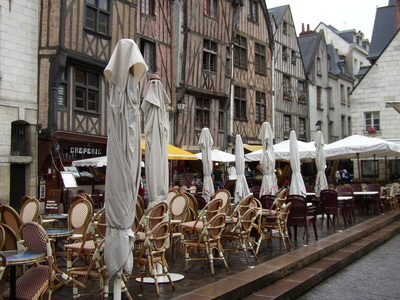 The cathedral city of Tours is centered between the Loire and Cher Rivers, a little to the east of the point where the two waterways converge. 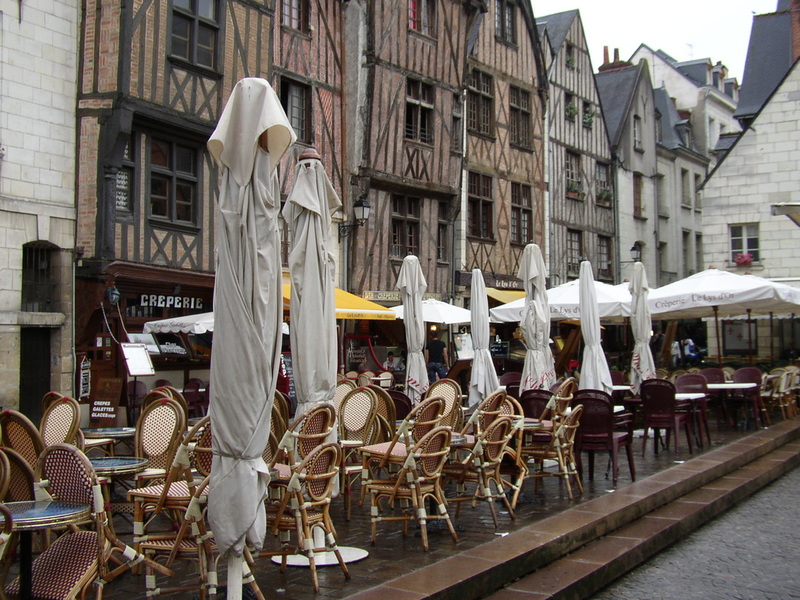 The medieval heart of the city has been preserved and restored, and includes many half-timbered buildings such as those that surround the Place Plumereau in the picture above. 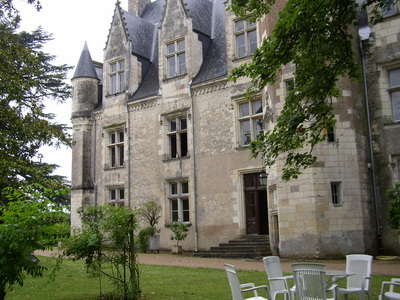 Nearby is the house where Jeanne d'Arc bought her suit of armor before setting off to liberate Orléans in 1429 (it's difficult to go anywhere in the Loire without encountering a locale where Jeanne d'Arc did something or other, such as stopping for a drink of water or even sleeping for the night).